This event is by invitation only. If you did not receive an invitation by email, you can contact us at 831.657.6400 for space availability. Enjoy an exclusive and entertaining evening of Monterey inspiration and culinary theater, with Seattle&apos;s most renowned chef who is teaming up with two of Monterey&apos;s top chefs to celebrate and showcase our magical region through a delicious culinary lens. 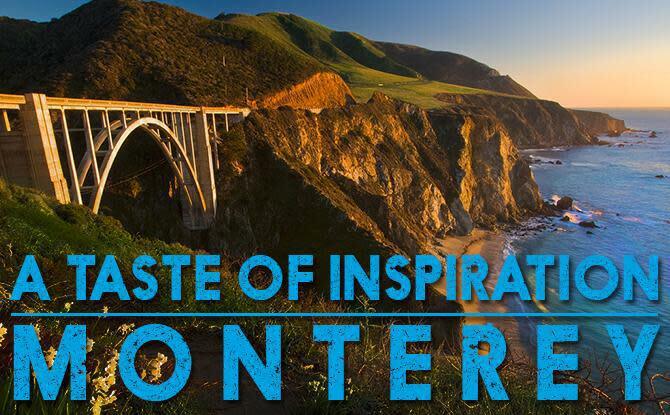 The one-night-only interactive performance is hosted by the Monterey County Convention & Visitors Bureau, and will be your opportunity to meet our team while joining us for an unforgettable journey through the taste, style and inspiration of Monterey. The evening will include a three-act culinary performance celebrating Pacific-to-Plate styles, farm-to-table bounty and vine-to-glass pairings. You&apos;ll also receive Monterey-inspired entertaining tips and tools for hosting friends and family for the holidays.